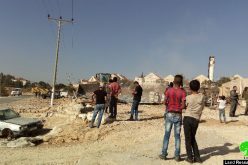 The dozers of Israel Municipality in Jerusalem demolished on May 17, 2016 two residences in the neighborhood of Wad Al-Juz on the claim of "unlicensed construction". The municipality claimed the land on which the structure was founded as "green", where building is banned. It should be marked that one house belongs to citizen Mazin Ghanim and the other belongs to citizen Aref Tutanji. Noteworthy, the two residences are founded on a land that is owned by citizen Ahmed Tutah. 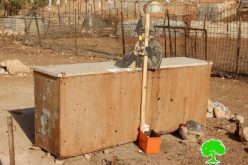 Citizen Mazin Ghanim told Land Research Center the following: " I have been living with my family in this house for three years. We are eight members including two minors. The house is built in 2013 on the rubbles of a previously demolished house seven years ago. The one story house is of 100m2 in area. 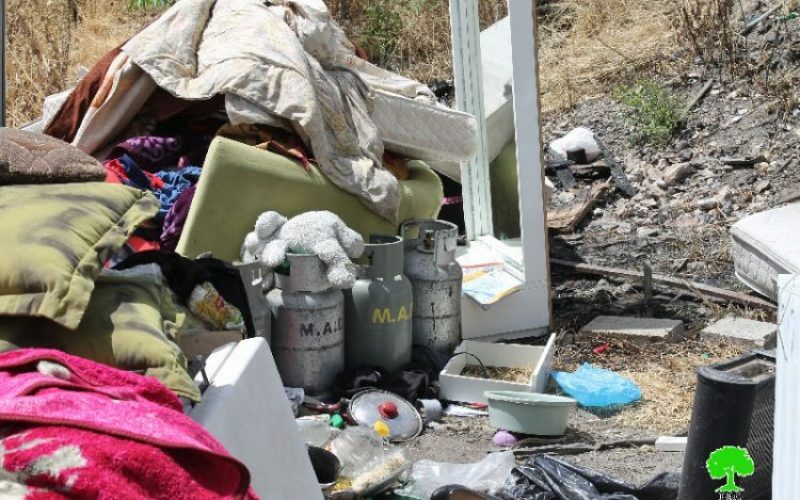 Israel's Municipality notified the house of Atef Al-Tutanji, which accommodates 18 members including 7 children and mine of demolition, claiming the plot "green" , where construction is not allowed. 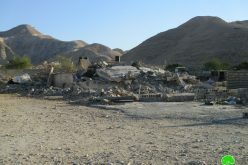 We sought attorneys Sami Irsheid and Zeyad Q'war, who managed to delay the demolition for several times. Eventually, demolition took place. He also added: " A massive force from Israel Police, Border Police and Special force, at dawn, broke into our residence and evicted us. Workers from the municipality accompanying the force brought out some of the house furniture before dozers brought it down. Also, dozers damaged five trees surrounding the house". 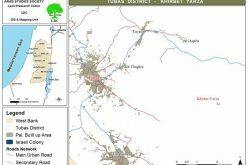 The land owner, Citizen Yahya Tutah, said the following: " The plot I own totals 14 dunums in area; it is owned by Tutah and Al-Ansari families for over 300 years. 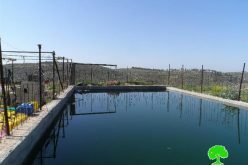 Around 13 families live on the plot that is targeted by Israel Municipality on the claim of it being classified "green", where construction is banned. The municipality refuses granting us building permits and rejects proposed plans to build clinics, schools and bus station on that plot"
The occupation's policy is meant to force Jerusalemites out of their homes. The Israeli government works hard to pass laws and legislations that make Jerusalemites suffer in terms of building conditions. Building permits and licenses are never granted for Palestinians, which violates the very fundamental human right to housing and to life of dignity.